Love a freebie? Course you do. The prize allows the winner to go crazy in our personalised wedding signs department, allowing them to choose 5 different signs and have them personalised with your custom wording….all freeeeeee. Choose any sign, from the luxury gold foil ‘Welcome to our Wedding’ sign, ‘Sign our Guest Book’ sign, candy buffet ‘Love is Sweet Help yourself to a treat’ sign, ‘Reserved’ signs for tables and church pews, ‘Photo Booth Grab a prop’ signs and lot’s lot’s more. Too many to list here! Love Grey & Gold Foil Wedding Invitations? 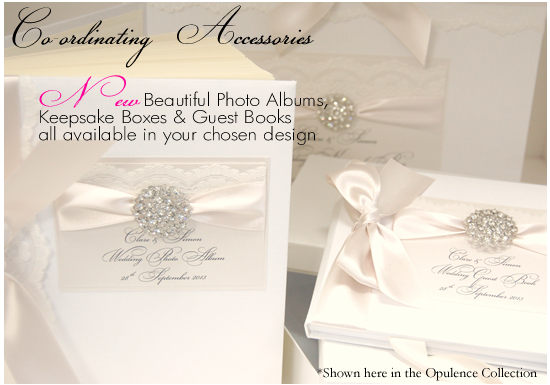 We’re updating the website with all of our Luxury wedding stationery collections and they are looking FINE. We spent the last few weeks in the studio getting photography tip top and first up to show off is the stunning gold foil beauties our Gorgeous grey and gold wedding invitations. Printed on luxury grey card (300gsm) with luxury gold printing and written in stylish modern fonts. We love this collection and it’s been a hit already with lovely customers. Cool, clean, crisp and super stylish. These grey invitations look amazeballs when styled with all grey stationery items to keep everything one shade of grey. Super swish having grey invitations with a different shade of grey. In a recent order for James & Stephen we designed their invitations in the marble grey card but with simple grey info cards & RSVP’s (printed with the gold lettering) still in keeping with their grey and gold theme but mixing it up a little with the differing shades. If you’re feeling brave the grey invitations look striking when they are contrasted with black envelopes. But I have to say it quite frankly knocks our socks off when paired with a hot pink gift card printed in metallic gold ( I do love a grey and pink pairing personally ). Not happy with just gold printing, we’re experimenting at the moment with white inks and copper printing which we’re very excited to show the results of in the coming weeks. So here she is in all her grey and gold glory. the Grey & Gold Wedding Stationery Collection is here. Isn’t she pretty…? If you love her please feel free to share with friends we want to get this collection out to as many people as possible. She’s too pretty to not be seen. So all of a sudden we get a million enquiries in the same week about one particular colour theme and that’s when you know what’s going to be hot for the upcoming wedding season. It’s not that coral and peach wedding invitations have ever really been ‘out’ of fashion but last year it had a little rest and took a back seat to the more traditional & muted shades like Ivory, Oatmeal and Nudes. Plenty of traditional themes emerged last year too with lace invitations & stationery being more popular than ever for our Brides wedding invitations. Now, I’ll never tire of ‘traditional’ I’m all for it, but I am longing for the bolder Bride. And as a blonde girl myself, coral does it for me. This year, the enquiries have been pouring in for wedding samples in coral. And I have 3 main reasons as to why this could be. Firstly, it could be because weddings abroad are more popular than ever. A few years ago, we worked on very large weddings in the main. Weddings with 80+ guests were the norm. This year, the volume is up on the number of people getting wed, but the orders are smaller in quantity and many are choosing to elope in sunnier climates. And why not. For Brides choosing a beach wedding, coral is so popular right now for their invitations. We currently have clients getting married in Cyprus, Turkey, Ibiza, & Menorca on the books right now. And guess what they are all coral Brides. Secondly, could it be that coral is a more toned down variation of the Pantone colour of the year from 2012 ‘Tangerine Tango’ (that’s Pantone number 7625C for the designers out there)? Where orange, having grown in popularity amongst Designers and consumers in the previous months, was starting to appear in fashion, make up and interiors far more than before. Pantone do not take naming their colour of the year lightly and their selection is a very thoughtful process. To arrive at the selection, Pantone quite literally comb the world looking for color influences from the film industry, artists etc. And this naming of such a dramatic and seductive colour, saw Designers and Brides empowered to use such a bold colour in their wedding planning. Perhaps the recent popularity in Coral is based on the Colour of the Year 2012’s downfall: it was just that bit too bold for Brides’ wedding plans. We always see variations of Pantone’s colour of the year filter through in variations of the shade in the following years after a naming, and coral seems to be the most popular option from Tangerine Tango. See just how similar Tangerine Tango is to Coral. It will be interesting to see whether Pantone’s colour of the year 2013 Emerald has the same popularity when it trickles through to wedding stationery arena. Thirdly, the Spring & Summer season is fast approaching and nothing says summer like a punchy coral. 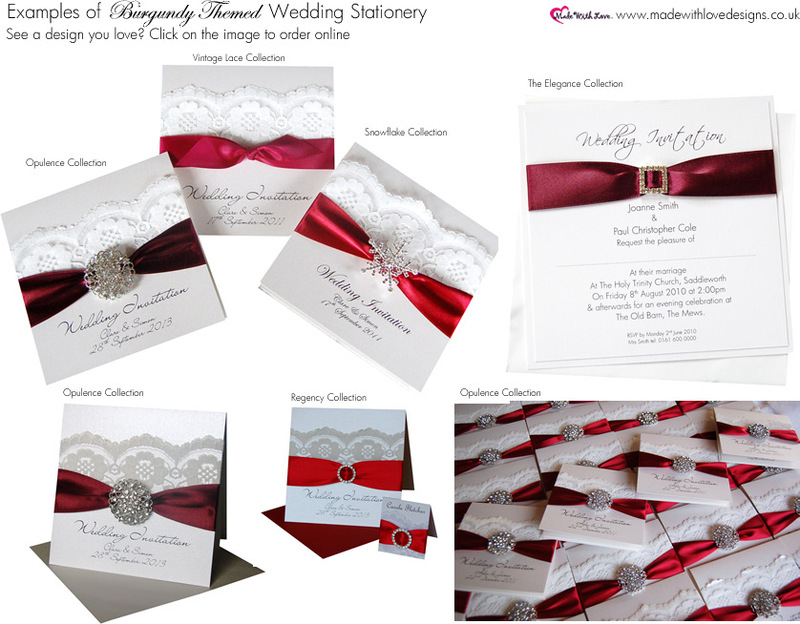 Since we in the invitation business work approximately 6-12 months ahead for wedding stationery, we are now getting summer 2014 wedding orders in and beyond, and it is the summery shades of coral and zesty tangerine shades that are more popular than ever. In addition we are also seeing peachy, blush and more paler shades of coral colours being selected by Brides too. If you’re thinking of having a coral wedding theme, take a look at our Coral Pinterest Boards that we’ve put together with lot’s of ideas and coral weddingy goodness. For pure invitation inspiration take a look at our coral wedding invitations colour theme page here. Any of our luxury wedding stationery collections can be designed in coral. If we do not show your colour scheme in the invitation that you want, please contact us as we have lot’s of coral images on file that we can email to you. If we don’t have the image, we can create a sample and email this image over to you. 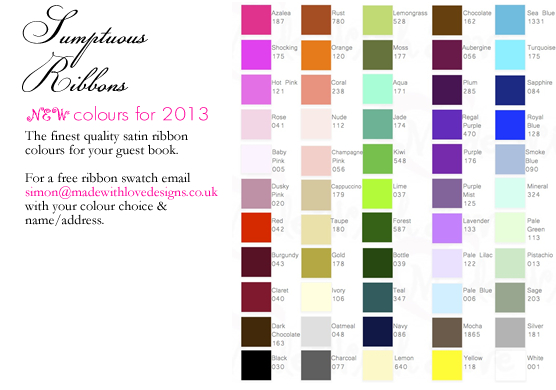 Likewise, you can order a sample wedding invitation in your chosen colour scheme & we can post directly to you along with a selection of ribbon swatches in a similar colour theme. A new year is always an exciting time for me, a chance to wipe the slate clean, set new goals and write new lists. 2014! I’m excited about this year. We were delighted to be asked by Kim from the Wedding Community website to come on board and join their expert team as their new Wedding Stationery Expert. Of course we got certificate smiles and jumped at the chance and have been working with them since around the Autumn time. I know, I know we’re late in getting the word on the street, but naturally the run up to Christmas is a super busy time that we hadn’t got around to sharing the good news. If you’re planning a wedding make sure you stop by their website it’s a real go to place for everything ‘wedding’ and best of all it’s free to join. Their facebook page is packed with inspiration too so please follow them here or if you’re more of a twitter guy/girl here’s their twitter account. I’ll be sure to post links to each months Wedding Community articles on our blog too. For the next few weeks this blog is going to be full of ‘we’ve just done this’ and ‘we’ve just done that’ posts. We doing so much behind the scenes that we have so much to tell you about. Following on from my post the other day about the ‘newish website’ we have lot’s of newish products to tell you about. First up is our Wedding keepsake boxes. I’m so proud that we have eventually launched these as we’ve had them ready for 2 years, waiting to go on our new website. Sat here in the studio just waiting to be sold. Since adding them to our newish website last Thursday we’ve already sold 3. It makes me sad to think that we just haven’t been able to share these with you until now but you can buy yours online from here today [claps with much enthusiasm]. Shown here in the Opulence collection but if you want a keepsake box designing in your favourite collection just add a note in the colours box when ordering. Our gorgeous new keepsake boxes are lovingly created by expert bookbinders in the UK, to traditional bookbinding standards, using the best quality binding materials. Each keepsake box is bound in a beautiful supple linen fabric with ribbon close tie. We love these keepsake boxes, they ooze style & quality. Specially handmade in your chosen design, the Made With Love way & printed with your names & wedding date – we know you’ll love them too! This week it’s all about colour. 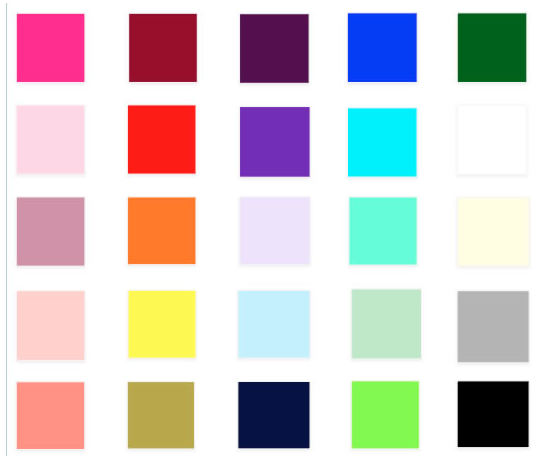 Four or five blog posts of colour in fact. Our obsession with colour is no secret. If you come into the studio, our shelves are filled with colour coordinated rainbow ribbons. Swarovski crystals shimmer on the walls from their pretty glass jars. And our wedding stationery ranges are framed in colour order. Whilst classic & traditional colours have seen a re-emergence this season (following the Royal Wedding etc). A hot trend for weddings from last season, which looks as though it’s here to stay is COLOUR. Rainbows of colour – which makes the design industry very happy indeed. With so much colour on offer, why settle for just one colour when your planning your special day. All the above designs are available from www.madewithlovedesigns.co.uk. We’ve put together some pretty rainbow mood boards filled with snippets of some of the prettiest rainbow wedding images on the web, to inspire you. We plan to show these on the blog throughout the week. Excited? We can’t wait to show these pretties.